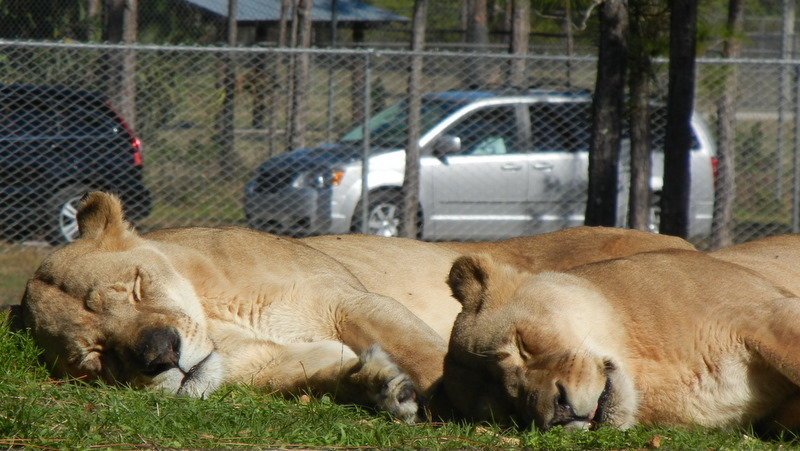 We took our second tour of Lion Country and this time found I could get photos of the lions without the fence by shooting out the top of our side window. 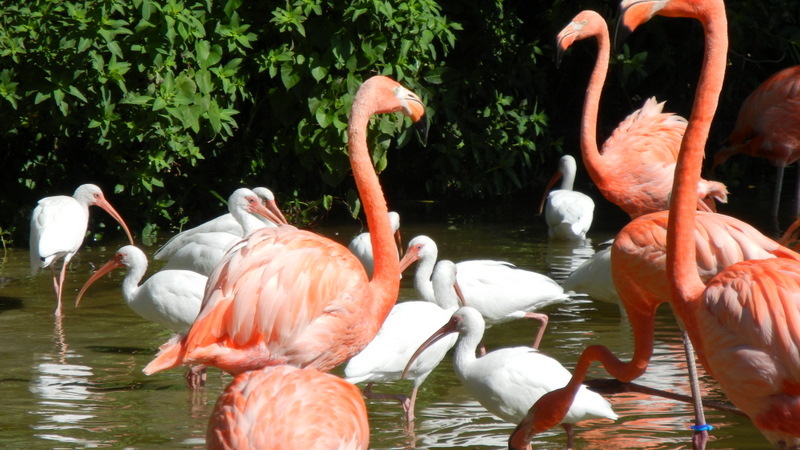 I also saw some flamingos that we missed yesterday. It was about 47 miles to Clewiston across the flattest land anywhere in the country. 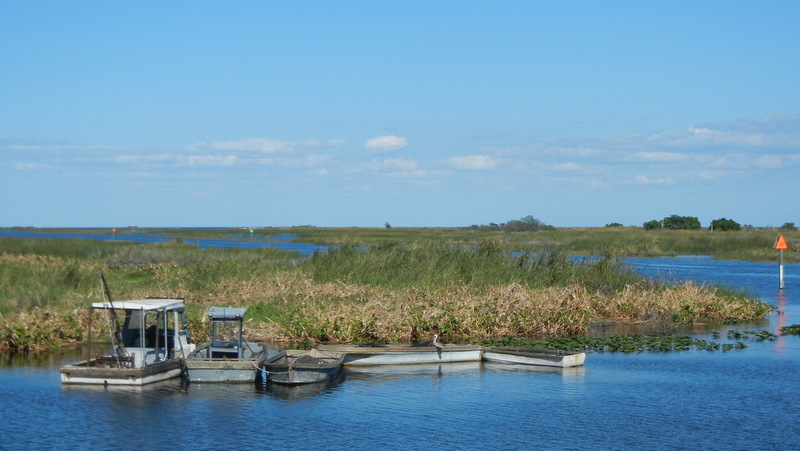 It was formerly part of the Everglades but is now farm land irrigated from Lake Okeechobee. The Lake is surrounded by a high dyke built from 1932- 38 as a result of hurricanes that flooded the area in 1926 and 1928 resulting in the loss of some 2,500 lives. There is a bicycle and walking trail on top of the dyke. 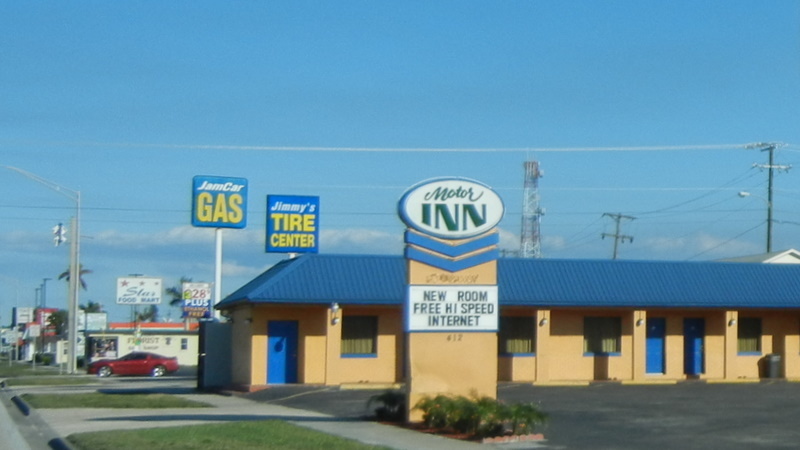 We went through Clewiston in 2004 during our Great Loop Cruise. The town is a farming community in the middle of the sugar cane district. There are several motels from the Route 66 era of the 50's but with no Interstate bypass to take away business they are well maintained.